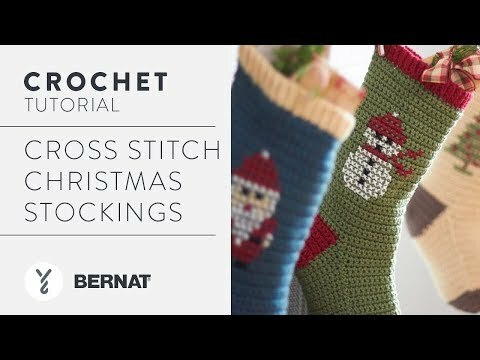 Show your holiday spirit with these charming cross stitch stockings, crocheted in Bernat Super Value. Approx 15" [38 cm] long from cuff to heel. Can you imagine anything more inviting than these festive stockings hanging in your home? Bernat Super Value lets you make one for everyone in the family, in the shade they like best. When you're done, you'll display a warm set that features sweet motifs which bring on thoughts of the season. These are definitely a new tradition, literally in the making!